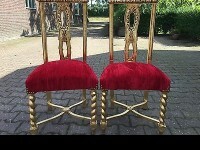 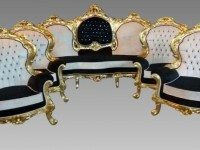 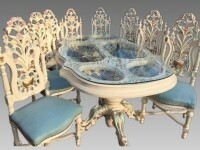 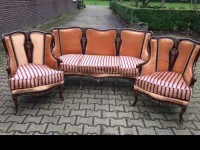 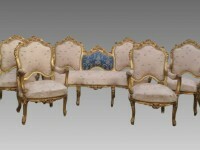 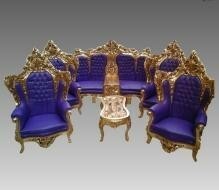 Typical Italian Rococo Style Sofa with 4 big chairs and a coffee table. 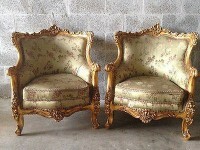 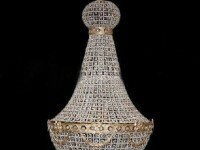 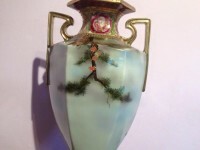 Everything is handmade in 1900, in very heavy and good quality. 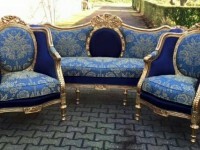 Excellent Quality Blue Skai Leather.